Why not buy a Signorelli Gastronomia cooking class voucher? Signorelli Gastronomia vouchers are the ideal gift for foodies with a love for authentic Italian cuisine. Each voucher comes beautifully wrapped and delivered by post, allowing the recipient to put the value towards our Salami cooking classes. We share the secrets on how to make great salami and discuss all things meat, with the help of our Salami expert Andrew Morabito. This hands-on salami cooking class will teach how to make salami from scratch, including seasoning and the art of curing. The delicious cured salami will be aged in maturing cabinets and ready to be collected from Signorelli Gastronomia 6 weeks later. Signorelli Gastronomia cooking classes are tutored by professional Italian chefs in our interactive theatre kitchen in the heart of Pyrmont. Treat this gift voucher like cash. Lost or stolen cards will not be replaced or refunded. 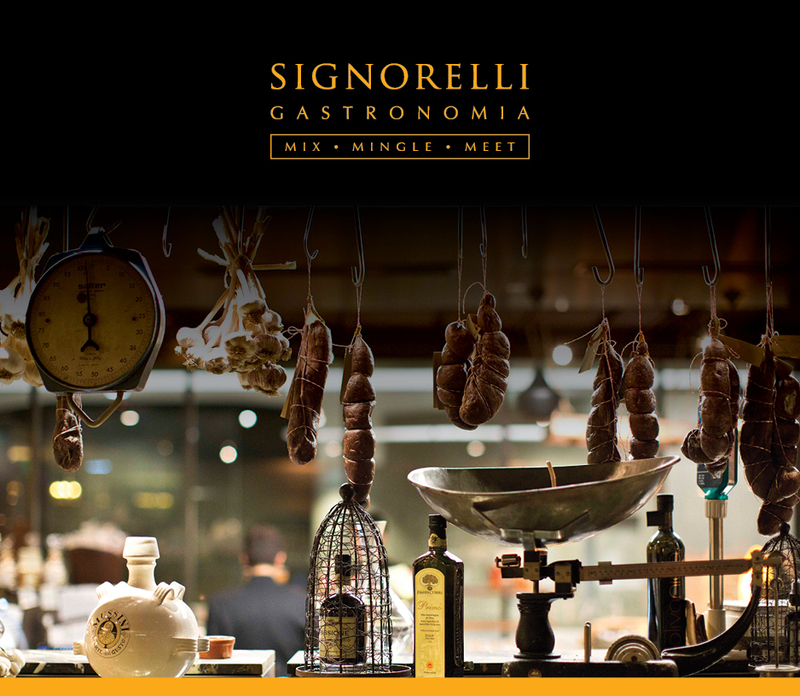 To be used for the purchase of goods and services at Signorelli Gastronomia. Conditions apply. Subject to availability. This card will expire 12 months from the date of issue. Not to be sold or redeemed by persons under the age of 18. No change given, not redeemable for cash. Cannot be used in conjunction with any other event or offer.